Sampo is an experienced graphic designer and versatile trainer. Sampo started the graphic field in 1995 and has been an independent freelance designer since 1998. As a trainer Sampo started in 1997 and since then has been an active and well known trainer in his field. Customers appreciate Sampo’s human-based training and a sharp problem-solving ability. 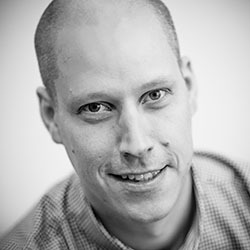 In addition to Corellia, Sampo works as a class teacher at Aalto University (Visual Communication Design).